The Sullivan Center was officially opened with a Mass led by Bishop Hoffman in 1997. Thank you to Charles Sullivan, class of ’53, for his generosity in helping to make the center a reality. The center holds 3,000 people, making it one of the largest high school field house in Northwest Ohio. 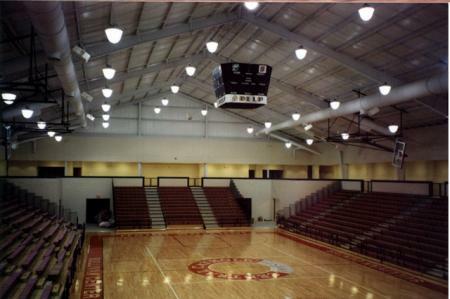 The Sullivan Center installed a new gym floor in the summer of 2009. In 2016, the Fondessy Dance Room was renovated and is now home to the Irish Dance Team.